Over time tanks split and rust. This, along with general wear and tear can lead to dramatic leaking, potentially causing flooding and major damage. To minimize the damage, it is essential to get help quickly, to stop the leak and figure out the problem. Plumbing On-Tap Worthing carry stock to ensure a speedy repair. If a replacement is needed, a full quote is provided. 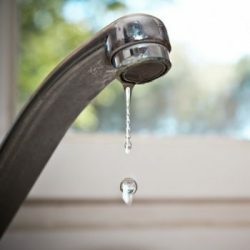 If you’ve noticed issues with your water system lately, it could be time to clean your water tank and overflow system. Regular cleaning will not only help reduce limestone build up and the potential for harmful bacteria build upin your system, it will help improve the effectiveness of your water system. When the system works effectively, you’ll save water, doing both the environment and your wallet a favour.